Survival of the Most Adaptable. Darwin’s theory of evolution through natural selection is often summed up as “survival of the fittest”. However, I think a better summary is “survival of the most adaptable”, for it is the species that weathers changes the best that continues its bloodline. 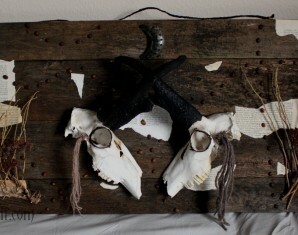 The theme of adaptability is woven into this assemblage piece. 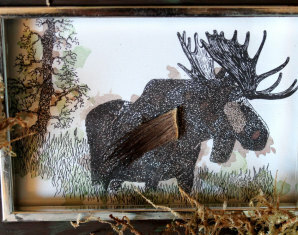 Its base is a wooden frame that I bought at a local Goodwill outlet; another artist, sadly anonymous, had painted it brown with a sprinkle of blue glitter. 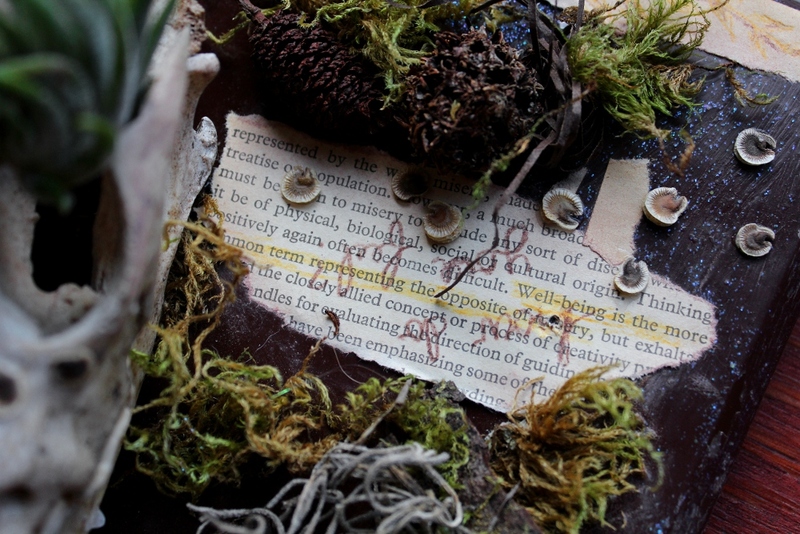 There had once been moss and other natural items glued to it, but most had been torn away over time, leaving only a few fragments. 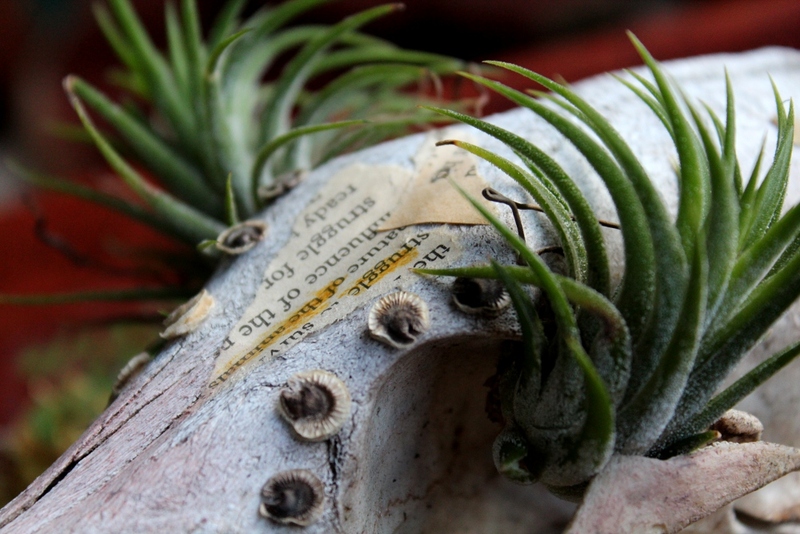 I decided to repair what remained, and build up on top of it, adding my own selection of dried mosses and lichens and other plant matter. 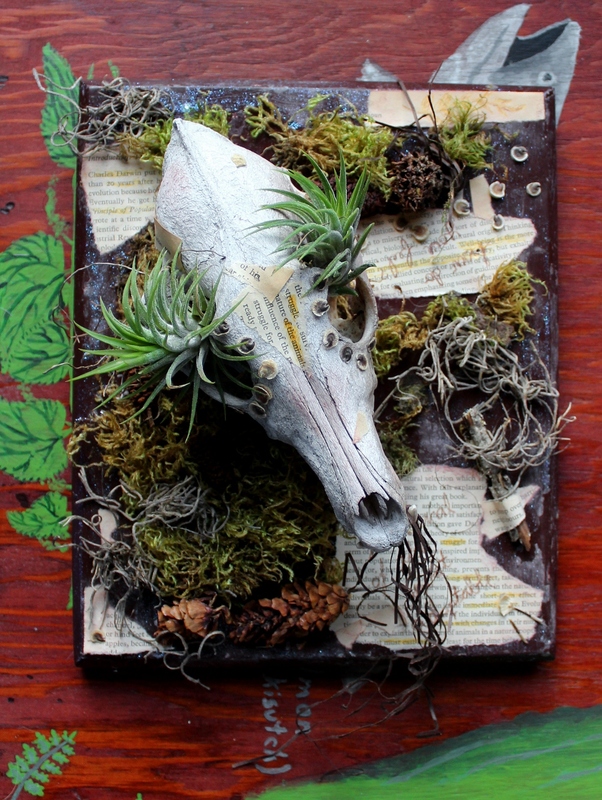 Amid this garden I placed a well-weathered coyote skull from another artist’s collection. 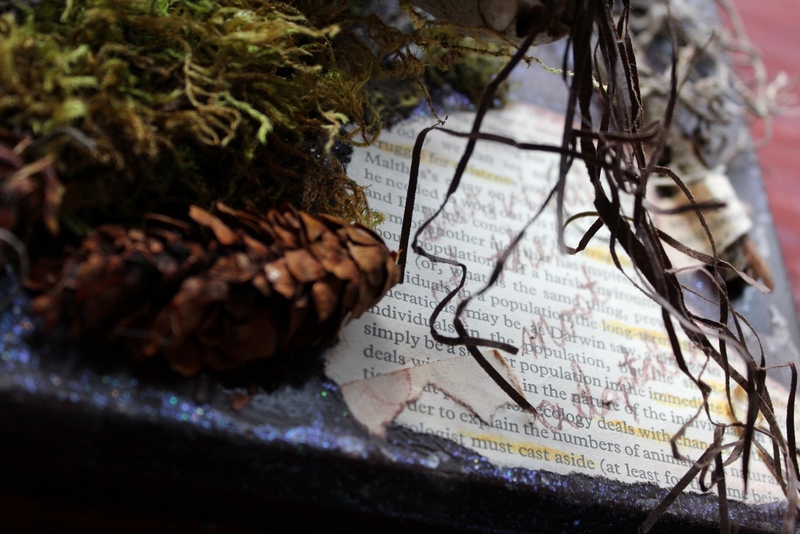 The piece is also adorned with pieces of an old book on evolution, an outdated edition with newer, more accurate progeny. I selected passages that spoke of the challenges species face, the very forces that shape their adaptation and evolution, and wrote further thoughts on them in colored pencil. 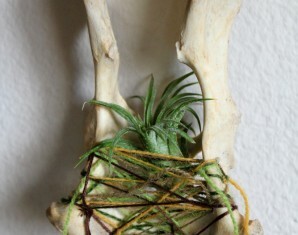 As a final symbol of the triumph of those still living, I placed a pair of air plants, Tillandsia ionantha Mexico, in the eye sockets of the coyote skull.